Learn about Tasks, Folders, and Projects, how they work, what they're best used for. Dive into the features on Tasks and Subtasks, how to create tasks from different views, and the basics of following tasks. All about sharing information within Wrike and how to use Folders as tags to share information. Check out one of Wrike's main views: the List View. Learn how to adjust your view to see the tasks you need to see. An introduction to the different views available in Wrike, with quick descriptions of how each view works. Learn how to comment on images, add files to review, and how the approval process works for files in review. 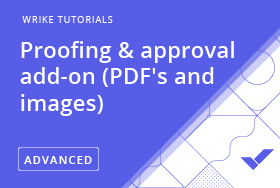 See how video Proofing works in Wrike, and how a team can collaborate to improve the video they're working on. Go over the different user types available in Wrike (Collaborators, External Users, and Regular Users) and the basic rights each license type has. 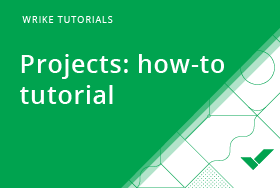 Learn more about Wrike's key building blocks: Subtasks, Tasks, Folders, and Projects. Ideal for users who want a better understanding of best use cases for each item. Check out key features for collaborating within the Workspace and learn how Inbox works. 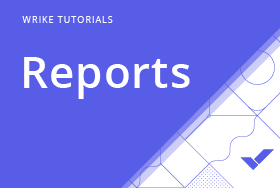 Learn how to set up Reports from a template or from scratch and understand the difference between Table and Column Reports. 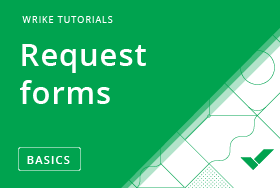 Learn the process: from building a Request formRequest FormsRequest Forms (admins), to turning Requests into tasks and Projects automatically, to creating a summary Report. 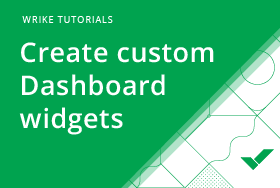 Learn how to create Dashboard widgets that allow you to prioritize tasks and see the ones that are most important to you. 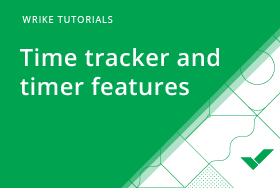 A quick tutorial on how to track time and an introduction to the Timelog View. Learn how to attach files, insert images into descriptions, and view all attachments on a Dashboard widget. 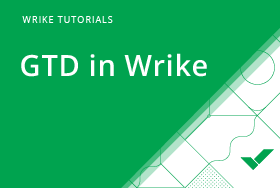 See how to take advantage of the Wrike features that follow the GTD methodology. Learn how to set up your Folder structure for weekly meetings. 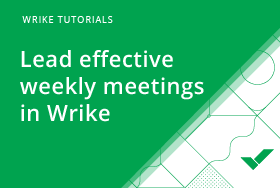 Wrike helps you keep meeting notes in one place so you can quickly find past meeting minutes and get easy access to action items. 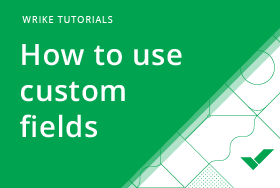 Learn more about Custom Fields and how they can help you customize Wrike so that it works best for your team. 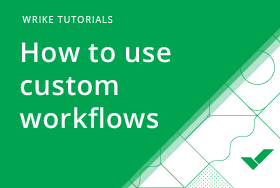 An introduction to Custom Workflows, why they're useful, and how you can use them to speed up your work. An introduction to Wrike and a great overview for newcomers who want to learn the basics and get an initial training.